Explore the sloping coral reefs and huge underwater boulders of Mu Ko Similan National Park, a snorkeling and diving paradise. Granite formations create underwater mazes, riddled with holes and arches, where swirling currents run in every direction. 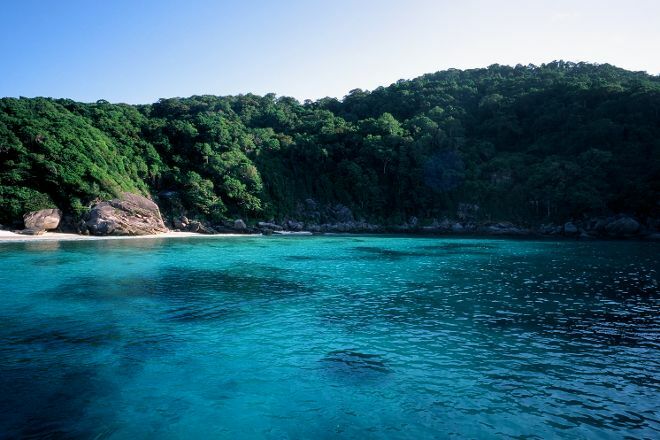 The clear waters teem with tropical fish in every color and are home to sea turtles, dolphins, whale sharks, and more. Above the waves, the park contains an archipelago of nine islands, home to pristine white sand beaches and a diverse set of wildlife, including rare birds and gigantic monitor lizards. Be aware that some of the islands and reefs are closed off as part of conservation efforts. Take the guesswork out of planning a Similan Islands vacation by using our trip itinerary maker. Very nice. Professional but mass settlement. Beach tour, Selfie, messy, next stop, lunch, snorkeling, snorkeling. Everything exactly in every minute, because the next boat brings the new wave. Was perhaps the wedding at the turn of the year. If necessary the Islands to the North are not so crowded.